September 11th called this book into being... Never before in our nation's history, not even after Pearl Harbor, has it been so clear that the voices, nature and activity of healing, peacemaking, and Council need to be called forth." Deena Metzger takes us on a journey from North America to Africa, from the stories of her life to the myths of Spirit. 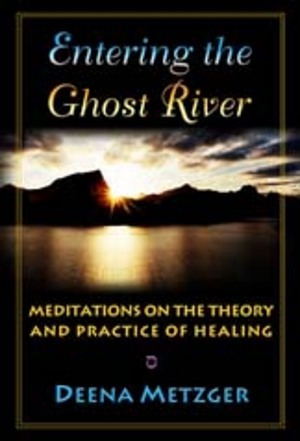 Traveling the Ghost River connects the world of humans t the world of souls, spirits and our ancestors. At the exact moment the World Trade Center towers were hit, Deena and others were at an ancient, sacred site in Masvingo, Africa being initiated as healers. Two stories intersected in that moment, one headed toward destruction, the other toward healing. At the intersection of these two worlds, Deena asks the question: how do we create a story with a real future in which all beings are sustained?